Fast, effective Mac antivirus protects your Mac against malware and phishing. 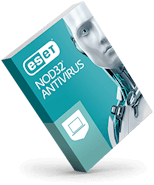 Antivirus and Antispyware built on our record-breaking ESET NOD32? technology will help to protect your Mac against malware. Anti-Phishing steers you clear of websites stealing usernames and banking details. Personal Firewall prevents hackers from gaining access to your computer and keeps you invisible when you use public Wi-Fi. Want to know more about the included features? Read the Product Overview (PDF). 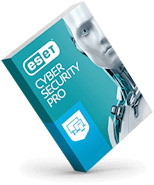 Since switching to ESET several years ago, I've not had any intrusions to my machines; a problem I had with several other big name programs. 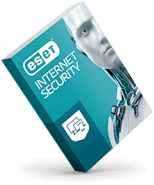 ESET Cyber Security, system requirements: Processor Architecture: 32bit x86 or 64bit x64, Intel?. Operating Systems: macOS 10.14 (Mojave), macOS 10.13 (High Sierra), macOS 10.12 (Sierra), OS X 10.11.x (El Capitan), OS X 10.10.x (Yosemite), OS X 10.9.x (Mavericks). This product can be unlocked with a purchased license or activated as a free 30-day trial.